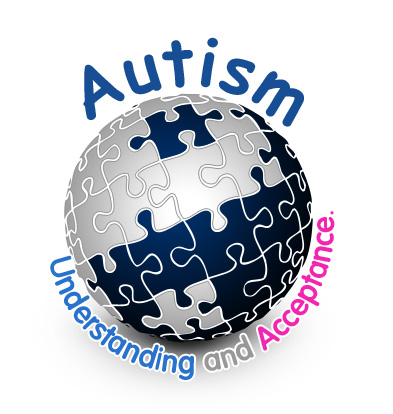 For the last couple of months, a quiet movement has been going on behind the scenes with several Autism charities and companies.. a movement to hijack and upgrade Autism Awareness Day on April 2nd. A common message, shared by all, uniting the entire community in a single voice. That message? Awareness is not enough. People have to KNOW what Autism is. A unique perspective on what Autism is to you. Your experiences, your story. No matter how beautiful or ugly, whether you see Autism as a gift or a cure… you tell the world what Autism is to you. The goal of this is to show that we’re not as divided as most people think we are, especially those pesky media outlets. We do support each other, we do fight together and we do speak together. At the same time, we will educate the world once and for all on exactly what Autism is… it’s wonderful and terrible, beautiful and ugly. People will look past the media’s view of Autism (which generally is the image of a 2 or 3 year old child that was just diagnosed and the young family that now has to deal with that diagnosis) and see what the media forgets to show the world. This is NOT an effort to tell people that we do not need a cure, nor is it to tell the world that we do need a cure. It’s not a place for debate over current research studies or treatment methods. This isn’t about you, this isn’t about me and it’s not even about the charities/companies that have agreed to get involved. This is about Autism and the people that have Autism. Who they are, how it effects them and their lives and most importantly, how the world needs to better understand them and better accept them. Please join in, spread the word, share the message and tell your story. Write them on your blogs, newsletters, press releases, tell them to people… we are also going to provide a means of sharing your story with the media! Imagine, millions of people sending the same message to the media all at the same time. They’ll be shocked! Let’s make sure the world is far more than aware… let’s make sure they KNOW what Autism really is. My name is Laura Duncan. My husband, Bill, and I have a 7 y/o beautiful little boy named Hunter with autism. I say autism, but this happened after his 12 MMR. He had 30 words before his vaccine and lost them all by 16 months. He is nonverbal, but like Stuart’s son, is the best little boy a mama and daddy could ever have. He is everything special and beautiful, but our heart breaks everyday that his speech and some other capabilities have been taken. My husband is also a stay at home dad since I have a very busy career as an OB/Gyn. He takes such good care of him and I know he is going to like your website. Thanks for fighting for our children. I could not have said it better myself. I’ve been asked to do some articles for Awareness Month and I am definitely aiming for the understanding and acceptance angle. I’m glad to see an organized push for this message. I love this. Uniting a community. Perfect! I always love the power you illuminate in helping me and the world better understand and care for people with autism. Thanks to you, I now have a more loving perception for these people. And the truth is, they are not so different from us. Keep it up in sharing this to the world. Hello. I’m part of a group of people who is sadly overlooked both by the media and by services for people with special needs. I’m an autistic adult. Those of us who are born autistic children grow up. Everyone seems to forget that. We don’t stay 5 years old forever. Autism, to me, is a disability but is not all negative. It’s a disability when the sensory issues, thought processing issues, social deficits, clumsiness, short attention span and the stress from all those take over my day and make me unable to do very much at all. Those days are the bad days, when my brain is just not able to keep up and I become exhausted and even ill. But the good days are the days when I’m allowed to stim all I want, take things at my own pace, know what’s happening next, feel in control and comfortable, and of course the days when I get to focus on the one thing I love doing the most: playing music. Without understanding, people can make my life miserable. With understanding and acceptance, the people in my life enhance it.